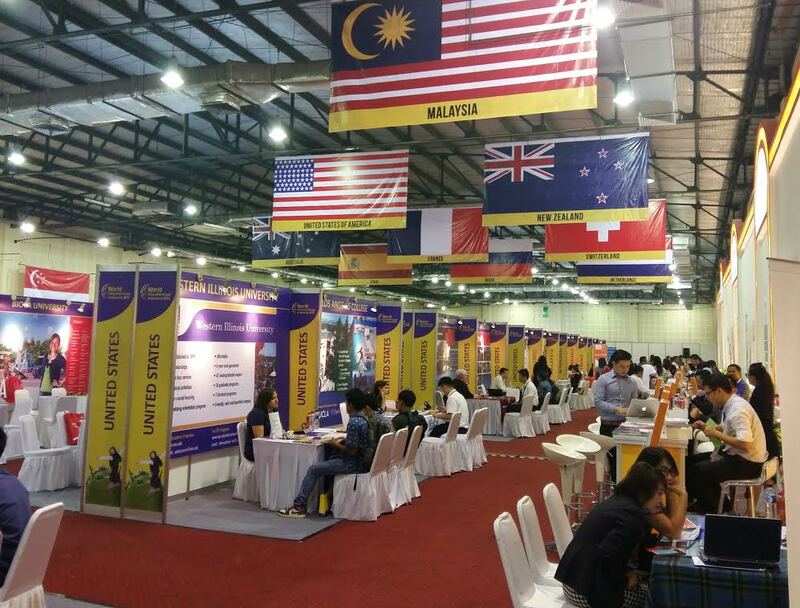 MONDAY, 12 OCTOBER – Universiti Malaysia Sabah (UMS) intensified its efforts in increasing its number of international students and alumni through the involvement at the World Education Expo Indonesia 2015 (WEEI) held in Jakarta, recently. Besides UMS, the exhibition which lasted for two days was also participated by four other public universities; Universiti Malaya, Universiti Kebangsaan Malaysia, Universiti Teknologi Malaysia and Universiti Malaysia Sarawak including 24 private higher education institutions. The organising of WEEI helped to strengthen cooperation in the academic field globally and strengthen the relationship between alumni and the university. The exhibition also included workshops and seminars designed for students who would be continuing their studies at university level and help potential students to expand their academic knowledge.